Harley Quinn. 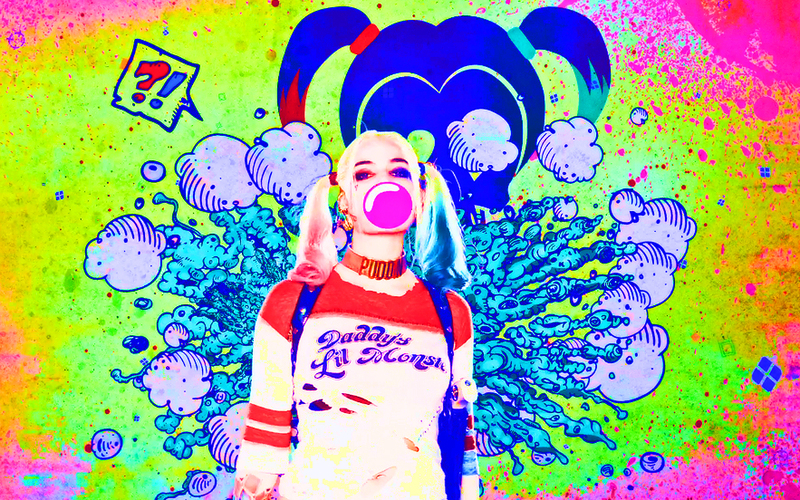 1280x800 fondo de pantalla from the advance ticket promotional video.. HD Wallpaper and background images in the Suicide Squad club tagged: photo suicide squad movie 2016 wallpaper 1280x800 advance ticket promo margot robbie harley quinn dr. harleen quinzel. This Suicide Squad wallpaper might contain animado, cómic, manga, historieta, anime, and dibujos animados.